I don't really care much for southern literature and I'm not sure if I've ever read any gothic novels given the horrific elements associated with the genre. I tried to go into this novel with an open mind. The first thing I noticed was the writing style. Whitlock is a great writer. I think even if I had hated the story, I would have kept reading just to experience more of the writing. Evil is Always Human is written in the dialect of an uneducated sharecropper in the early 1900s. Using such a dialect can be a gamble and authors often veer into the comical or unreadable. In Whitlock's capable hands, it was an authentic voice that added to the depth of the novel. Looking through a few reviews at Goodreads, I'm not the only one to praise Whitlock for his exceptional use of dialect. I'm serious, it ranks right up there with Mark Twain. I enjoyed the historical elements of the story. It is set in middle Georgia - in towns that I have visited and known for their southern history. It was the little things, like mentioning the experiment station at Griffin, that enriched the story and captured the setting. It's not just somewhere in the south, but in middle Georgia which has its own unique historical and cultural relevance. I enjoyed the characters, particularly the brothers. I wanted to slap Mama sometimes, though I tried desperately to have empathy for her. She did not have an easy life. I could have possibly forgiven her for her first indiscretion, but if that is really the lifestyle she wanted, why didn't she leave the boys with her sister and brother-in-law? She irked me, especially as the unnamed narrator had to take on more and more of the role of adult. I felt sorry for Little Carl and him. This is much more of a character-driven book than plot oriented. The story really is about human nature rather than the day-to-day details of the family's life. So while the happenings in the story were at times interesting glimpses into 1912 Georgia, it was not the main draw of the book. It is really the attitudes, thoughts, and actions of the characters that are at the forefront of the story. Since I stated at the beginning that I don't usually read Gothic novels because of the macabre and horrific elements, I will say those elements don't really come into play here. 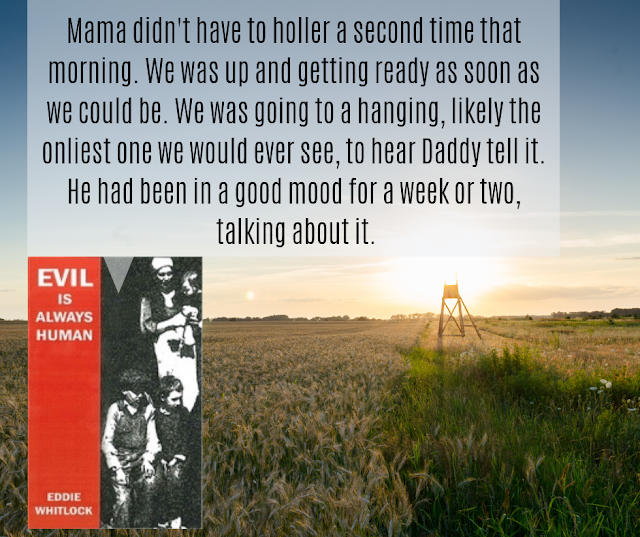 Evil is Always Human tends more towards the "transgressive thoughts, desires, and impulses" and "overall angst-ridden alienation" characteristics of Southern Gothic literature. 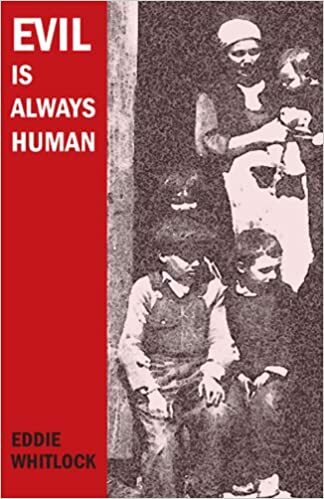 If you are looking for a well-written book in this genre, then I highly recommend picking up Evil is Always Human. Linked to Book Beginnings at Rose City Reader and Friday56 at Freda's Voice. Interesting excerpts but the dialect would get old fast for me. This week I have a historical mystery - A Moment in Crime by Amanda Allen. Happy reading! I agree that dialect can be scary to read. Glad this one works for you. I haven't tried this author but I might have to some time soon.